I recently read a fantastic exchange between the German newspaper Die Zeit and French economist Thomas Piketty. Here is the original in German–there is an English translation by Gavin Schalliol, but at the time of writing Zeit is disputing Schalliol’s right to publish it. Fortunately, copies of the English translation have shared elsewhere on the web. In the exchange, Piketty makes a point that is seldom made–Germany itself is a direct beneficiary of the debt forgiveness and currency devaluation policies Keynesian economists are recommending for Greece. Thomas Piketty is one of my favorite economists. He’s done excellent work on economic inequality and economic history. Some might argue that Germany was in ruins after World War II and that a recovery was inevitable in any case, but the speed of that recovery was dramatically affected by the elimination of Germany’s debt obligations. If we look closely at the above chart, we can see that the rate of improvement was significantly lower in the early 50’s than it was in the mid to late 50’s. 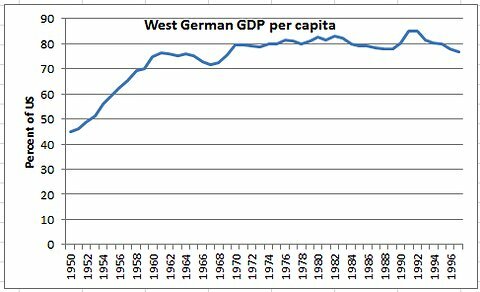 Without this improvement, Germany’s economy would have crossed the 70% line around 10 years later than it did. …a 1 point rise in the primary surplus, which requires austerity that causes a 3-point fall in real GDP, will reduce inflation by about 0.7 percentage points (3*0.23). And if you start with debt of 170 percent of GDP, this raises the debt ratio by more than a percentage point each year. That is, the attempt to reduce debt by slashing spending actually raises the ratio of debt to GDP, not just in the short run, but indefinitely. If Krugman is right, the Victorian solution to Greece’s debt problems might not merely result in prolonged agony and slow impoverishment–it might not even accomplish its primary aim, the reduction of the Greek debt burden. 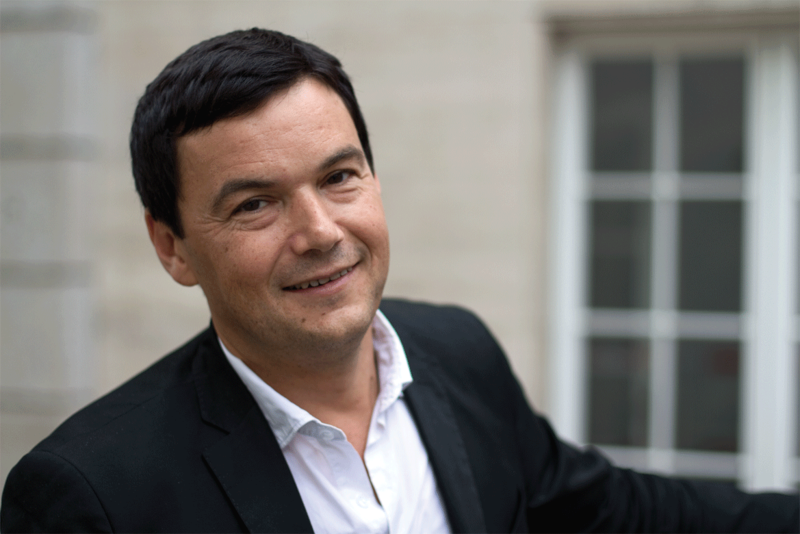 Piketty: We need a conference on all of Europe’s debts, just like after World War II. A restructuring of all debt, not just in Greece but in several European countries, is inevitable. Just now, we’ve lost six months in the completely in transparent negotiations with Athens. The Eurogroup’s notion that Greece will reach a budgetary surplus of 4% of GDP and will pay back its debts within 30 to 40 years is still on the table. Allegedly, they will reach one percent surplus in 2015, then two percent in 2016, and three and a half percent in 2017. Completely ridiculous! This will never happen. Yet we keep postponing the necessary debate until the cows come home. Piketty: A new European institution would be required to determine the maximum allowable budget deficit in order to prevent the regrowth of debt. For example, this could be a committee in the European Parliament consisting of legislators from national parliaments. Budgetary decisions should not be off-limits to legislatures. To undermine European democracy, which is what Germany is doing today by insisting that states remain in penury under mechanisms that Berlin itself is muscling through, is a grievous mistake. To put this in perspective: At the end of WWII the debt Germany was forced to agree on after WWI was on the table. Germany was offered a cut into this one, too. But Adenauer said no, Germany will pay this one with time (even though the Germans always considered the Versailles Treaty as unfair). The last rate was paid a couple of years ago. And that is not accounting all the land Germany lost in the war, everything the allies shipped to their respective countries, plundering before than deciding that they preferred a strong Germany over a dying one. Oh, Germany paid. In more way than one. In any case, it doesn’t matter. The true difference is that Germany came to the table ready to do whatever necessary to create a future for their country. They didn’t spat the allies in the face and told them that the whole situation was their fault. And they didn’t use the money they got from the Marshal plan to pay the pensions of their citizens, since they actually believed that they would have to pay it back one day. They used it to give out low interest credits, so that new business could be built. And since a lot of those businesses were successful, this fund still exist. If Greece doesn’t want austerity, they have to suggest a workable plan. The only plan I have seen so far is “give us more money while we keep spending more than we get in taxes”. They haven’t brought up a plan for a working tax system, they haven’t thought about taxing the shipping industry, the only thing they managed was to deliver a hit to the tourism industry because the largest percentage of their customers – the Germans – are not keen to travel into a land which calls them Nazis. The debt relief for Germany worked because it allowed an already thriving country to reach the potential it had faster. Greece doesn’t have this potential, not the way the country has been run for the last decades. It has nothing to offer and can’t sustain itself. Which is why not just Germany but ALL the EU states are not listening the Greece’s demands. 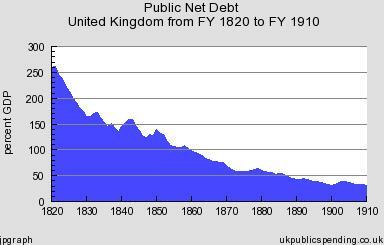 Germany only just finished paying this debt because the London Debt Agreement cut Germany’s debt load in half and then the remainder was stretched out over 30 years, allowing Germany to inflate most of it away. Greece has over 20% unemployment–it has millions of people ready and willing to work, millions of people ready to contribute billions in tax revenue. Austerity wastes this output. It debilitates the Greek economy and reduces state revenue faster than it reduces Greece’s spending, worsening Greece’s debt position. It’s not an economic plan, it’s bleeding the patient. The alternative is very simple–cancel the debt and let the Greeks use the several percent of GDP they would have sent to the German banks to put these people back to work. Enough of this. Millions are suffering. 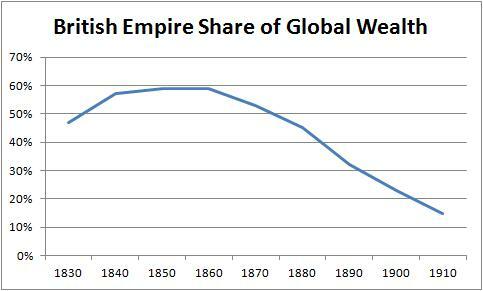 Don’t confuse the WWI debt with the WWII debt. Two different issues. And Greece already got more or less the same. They got a 53% cut in 2012 and have currently only to pay the very basics back. And again, Greece doesn’t have a working tax system. Even when the economy boomed everywhere including Greece, the Government had to borrow money to keep the state running. And yes, Millions are suffering. Nobody has forgotten that. Which is why various help organisations are already active in Greece in order to help the people who need it, including German ones. Giving this government more money on the other hand wouldn’t help them. It is like giving an irresponsible parent money for ensuring that his child gets a good education. He won’t do it, instead he will spend the money on frivolous nonsense. Countries around the world borrowed during the mid-00’s. 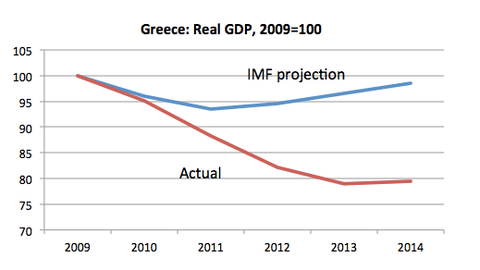 Greek spending was not exceptional and most foreign analysts in the mid-00’s believed Greece’s growth was sustainable. The organizations you speak of have not begun to do anything remotely close to sufficient to address the scale of suffering. 50% of Greek’s young people are unemployed, 40% of its children are growing up in poverty right now. None of the money is being given to Greece. The bailout money just goes directly to Greece’s creditors. It’s a transfer from European governments to European banks. It’s much better to just wipe the debt out completely. Then Greece will not have to run a primary surplus, so it won’t have to drive down its own GDP and tax revenue just to make ends meet. 1. The Rich people in the country have transferred their money out a long time ago. 2. The other ones (not that I blame them) are emptying their accounts as much as they can and store their Euro’s in their pillows if they have to. If the European Union hadn’t ensured that those banks stayed in business nevertheless, they all would have closed down already due to a lack of capital. And those organisations do more than the Greece government, which currently does nothing but alienate the countries they want help from. Again, if they had presented a reasonable plan, Europa would have listened because, believe it or not, those other countries want their money back, especially Germany who is now Greece largest creditor. They wont see their money if Greece goes bankrupt, which is the only reason why they even bother with this country at all. But there is a point at which every creditor has to cut his losses. Try to see it from Germany’s point of view: They barely managed to deal with the reunion, which meant taking responsible for one bankrupt state. Doing so was the reason that Germany nearly went into the knees in the 1990s, but they did manage to turn it around and have barely reached a point at which their unemployment rates are sinking instead of raising. They certainly have no interest (nor the ability) to do the same again for Greece. Neither has any of the other countries, most of them struggling with their own set of problems. Currently it looks like Greece is giving their creditors only two choices: Throwing even more money at them which they will never see again, and that indefinitely, or say: It is enough, we end this now. And if it ends up the last option, it will only be Greece’s fault. I am still waiting for the Greece Government to come up with a feasibly proposition. But they don’t even follow the terms set with the last credits. If you can’t trust them, why should you give them even more money? In the end it is as simply as that. The debt relief for Germany came with terms too, and Germany took care to meet them from day one. Greece didn’t. It’s not an apples and oranges comparison–in both cases, the morally relevant facts are the same. The young people in both post-war Germany and Greece had nothing at all to do with the policies that got their countries into trouble yet were being made to pay the costs of those policies. Greece has imposed capital controls and limited withdrawals–capital flight is no longer possible. The rich bankers want their money back, but they need that money far less than the 20% unemployed and the 40% of the children living in poverty. The interests of the poor and vulnerable take precedence. All Germany has to do is wipe out Greece’s debt. This is not very expensive and is far less disruptive than Grexit. I understand perfectly well that German citizens don’t want to pay and that the German government wants to keep its citizens happy, but when you create a regional currency this requires that you periodically transfer large amounts of wealth from one part of the region to another. This happens with regularity in the United States and it’s completely uncontroversial. Greece would be better off defaulting and reintroducing the drachma than it would be agreeing to the demands of the troika. That outcome is much worse for Germany and for the EU than debt forgiveness. Oh, I know…and what happens now would have happened way earlier if the EU hadn’t hold it at bay. And no, it is NOT the bankers who will loose that money. They are mostly out of this mess. It is mostly the taxpayer of the countries which did lend the money who will take the hit. But you know that? At this point, they rather take it and an horrible end of this affair than a horror without end. I’ll tell you what will happen if the EU (not Germany, the EU) gives in to Greece demands now: countless states which did play by the rules and did what their creditors asked of them will say “well, and what about us?” At the same time the voters in countless richer countries, those which currently hold the others afloat, will go to parties which are for an exist not just from the Euro but from the EU in general. The EU might or might not survive Grexit – they might even be better off after it. We don’t know, because it has never happened before. But it is obvious that it can’t keep existing and paying off Greece’s debt. That would destroy the EU for sure. And if you really thing that there are never controversies in the US about how much one state should transfer elsewhere, then you are naïve. But again, apple and Orange. The United States is controlled by one government which is elected by the states which are part of it AND has control over said states. (Germany has btw a similar system…and on top of it each German is still paying an extra tax which is used to help out what used to be eastern Germany.) The EU doesn’t have control over what Greece does with the money it gets and can’t trust it to follow an agreement after the action of the Greece government in the last years, and the current Government which was elected by the Greek people has methodically wrecked the last bit of trust which is left. That’s what the Greek voters get for electing a government with empty promises. Germany had those parties, too, in the 1950s. But they didn’t get elected. I for my part HOPE that this circus finally ends and Greece defaults to the drachme. It will be a humanitarian catastrophe for a country whose debt will then become unpayable, and which is depending on import which all have to get paid somehow, but it is impossible to help someone who is set on drowning himself. You’ve misunderstood the lesson–the lesson is not “we can’t let the Greeks off the hook or everyone will do this”, it’s “we can’t let this situation arise in the first place, we need a common fiscal policy and much touch financial regulations”. Countries lent Greece money so Greece could hand the money to their own banks. Countries should forgive the debt and recoup the losses by taxing the banks. Then bring in a common fiscal policy that prevents all Eurozone states from running structural deficits greater than some maximum size. A default and currency switch would be much better for the Greek people than acceptance of more austerity. The new currency would make Greek exports more competitive and encourage tourism, and the default would free Greece to create jobs. Greece could have said from the get go “no thanks, we don’t like the terms for your credit, we’ll manage on our own”. They didn’t. They took the money and then barely reformed anything (and honestly, that is the part I don’t understand, if I were a Greek, I would be FOR cleaning up the corrupt government, seizing down the public sector and taxing the shipping industry, not against it). And then they stopped following the terms altogether, acted in bad faith and asked for more money. Who in their right mind would give it to them? You can bet that Texas (or Portugal, or Ireland or Italy) didn’t act that way when they got their bailout. Greece got multiple chances to present a proper finance plan. They didn’t. But they also don’t leave the Eurozone because they know that doing so would change their living standard. Greek barely has any exports, and mostly relies on imports. Especially on imports of medicine. The EU tried to solve that problem years ago by establishing a production for drugs in Greece itself, but the Greek Government undermined the project and funnelled the money into other channels, so the expensive complex is now in disuse. And you do realize that tourism has taken a big hit in the last years because most of the tourists which used to visit Greece were Germans? It will take a lot of time to convince them to vacation in a country which called them Nazis. Not that I disagree that the Grexit is the only option left. Simply because the Greek Government made sure that there isn’t another one. I am pretty sure that the EU is very busy thinking up plans for this scenario. And the creditors could have said “no thanks, we don’t want to lend to you, you’re too risky.” When a bad loan gets made, both the creditor and the borrower have made a mistake. The “reforms” being demanded will cut spending and thereby shrink the size of the Greek economy, depressing revenues and leaving Greece in an even worse fiscal position. The EU can wipe out the debt and then implement a common fiscal policy that will prevent the Greeks from getting into this position again in the future. There’s literally no risk of this happening again if the EU creates even semi-appropriate regulations. Greece used to have a much stronger import/export position, but then foreign banks began pumping money into Greece’s economy, pushing up Greece’s wages and making it less competitive. With a currency devaluation, Greece could make its exports far more competitive, but to do that they need either the cooperation of the rest of the EU or a reintroduced drachma. Tourism in Greece will take off the moment Greece achieves a devaluation and the cost of visiting collapses. Kentucky, South Carolina & North Dakota https://en.wikipedia.org/wiki/Federal_taxation_and_spending_by_state all run deficits with the US federal government of over 20% of their G(D)P, and have done for fifteen years or more. Should the US cut off that funding? Enforce budget cuts? Push these states out of the US dollar? Why should Greece be made responsible for Portugal, Italy, Spain? The larger problem is Europe’s, not little Greece’s. Greece only happens to ne at the front of the train. The just solution is a Europe-wide debt restructuring (and reform) that *the EU* has dragged its feet over all year. Not much time left now. Apart from all the Pulitzer economists and historical examples showing that austerity in a depressed economy is self-defeating and the Eurozone’s prescription would be ruinous to Greece (not to mention unhelpful to the banks) there is this other reality no one is speaking about: ISIL or one of its inspired siblings. We are living at the dawn of a new age when there are at least two new serious competitors for replacing the secular democratic state as the central organizing principle of western society: (1) stateless corporations which prefer that only the “stakeholders” (i.e. shareholders) get a voice in running things; and (2) nihilistic terrorists supposedly inspired by religious fervor and their claimed love of a guy who has been dead for almost a millennium. The Eurozone troika looks very much like the former. ISIL is doing a damn good job of appearing to be the latter. Greece happens to be situated squarely in the geo-center between Europe and the Levant and Asia Minor. Already, the thousands of refugees who survive the Mediterranean Sea in bathtub boats and floaties are flooding Greece, too, among other south European nations. If — or perhaps I should say when — Merkel and her German banker buddies allow Greece to become a failed state in large part because it suits their domestic political desires, do you suppose terrorists and other opportunists won’t notice? If they can willfully destroy the ancient sites at Hatra, Palmyra, Mosul, and all the others, do you suppose for a moment they will pass on the Parthenon? The Acropolis of Lindos? The grotto at Patmos? Etc. etc. etc. etc. x 12.